When assigning the drive letter failed. -- Eg. 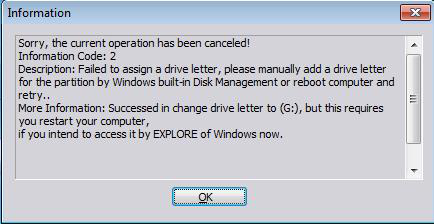 The program attempts to change the drive letter from D to F but failed. 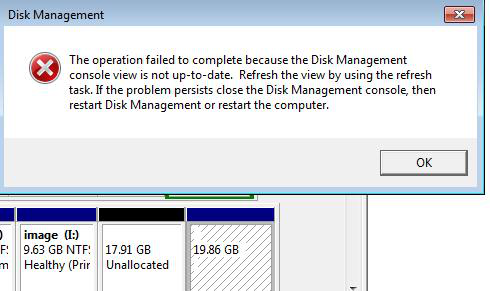 When reassigning the drive letter failed. -- Eg. The program reassigns the drive letter after resizing partitions but failed. 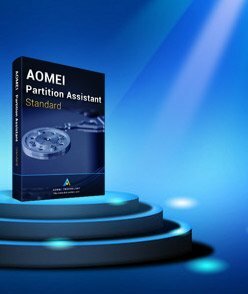 You can reboot computer and assign drive letter for the partition with Partition Assistant or Windows Disk Management again. P.S:It is not recommended to modify or delete the key directly from the registry, because this will leave some residual information in the registry, so it is recommended to use the Group Policy Editor to deal with it. 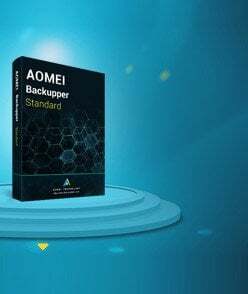 If problem persists, please feel free to contact our AOMEI Support Team.